Stampede Meat Sunland Park Facility Opening in November – Stampede Meat, Inc.
On July 13th, 2018 Stampede Meat announced its plan for expansion outside of the Chicago-land area for the first time in 24 years. “It is a $36 million-dollar investment and an expansion to create immediate growth,” Stampede Meat President & CEO Brock Furlong said at the groundbreaking ceremony held in July. With the company’s core values in mind, Stampede team members hit the ground running and developed a project plan to Embrace Innovation and Improve Daily. “While we had every confidence in our plan we knew from the start that it would take a Herculean focus on all 5 of our core values to pull off an opening in only 4.5 months,” Furlong said. There’s a lot that goes into expanding a facility 1,500 miles away from the corporate office in Bridgeview, Illinois and distance did not stop Stampede Meat COO, Jim Scott and Facilities Engineer, Lee Koepke from leading the expansion. 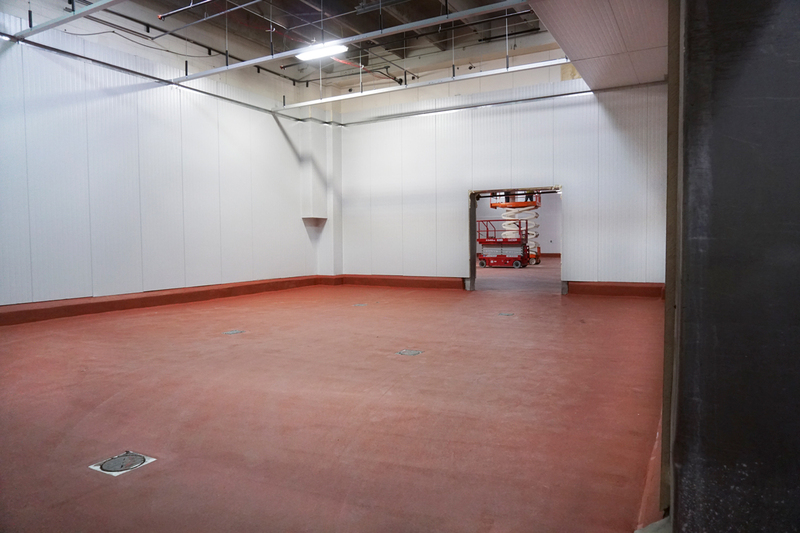 “Before the installation of new walls and ceilings, we needed to ensure the floors were properly paved throughout the facility and the final top coat application occurred just last week. Production equipment began arriving this week and that’s making us smile from ear to ear. It’s an exciting time,” Lee Koepke said. Pictured is the current interior of one of the production rooms with the classic Stampede red trim lining the floors. 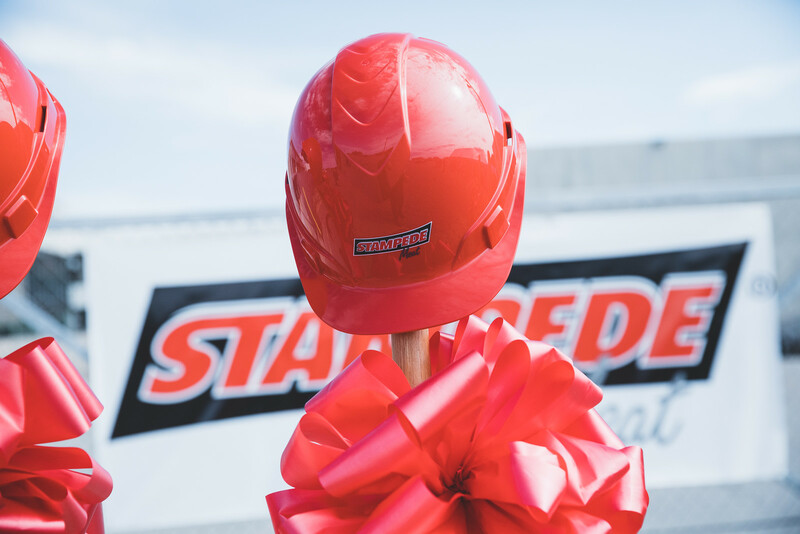 In anticipation of the grand opening, Stampede’s bi-annual Sales Team meeting will be held at the new Sunland Park facility the first week of November. This will allow Stampede Meat Sales Representatives to familiarize themselves with the production floor plan as well as new capabilities coming in Phases 2 & 3. “We have been pleasantly surprised by the strong and immediate interest from both current and new customers. 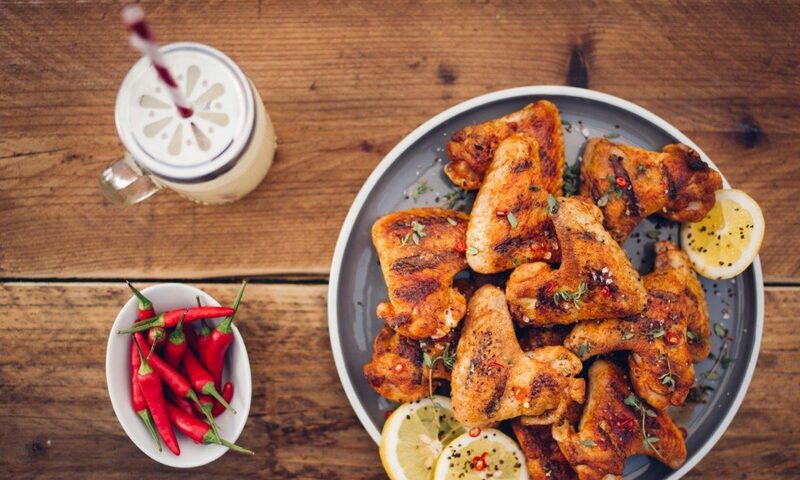 Our entire team can’t wait to welcome them into our new home in Sunland Park, New Mexico and show them some exciting new cook capabilities!” Furlong said.